Esther H. Ostrander — Workman Funeral Homes, Inc.
Esther H. Ostrander, 89, of Columbia, entered into Heaven on Sunday, September 9, 2018. She was the wife of the late Marvin W. Barto who passed away in 1961 and Rexford Ostrander who passed away in 2011. She was born in Mastersonville, daughter of the late Jacob M. and Elizabeth Nornhold Heisey. She worked as a technical assembler for AMP, Inc. before her retirement. 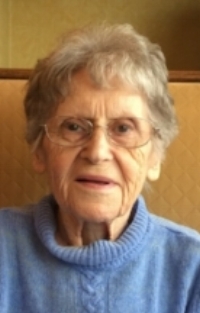 She was a devout Christian and of the Pentecostal faith and she enjoyed baking, cooking, gardening, flowers, and always looking out for and helping others. She is survived by three sons: Quentin (Judy) Barto, Willow Street; David Barto, Mountville; and Jay Barto, Columbia. One step-daughter, two step-sons, and numerous grandchildren and great-grandchildren. She was preceded in death by two daughters: Mary Riehl and Lucy Gambrill; and six siblings. Private services will be held for the family with interment in Mount Pleasant Brethren in Christ Cemetery. Please omit flowers. Memorial contributions may be made to the Alzheimer’s Association. Arrangements by the Workman Funeral Homes, Inc. To send an online condolence, visit the condolence page.